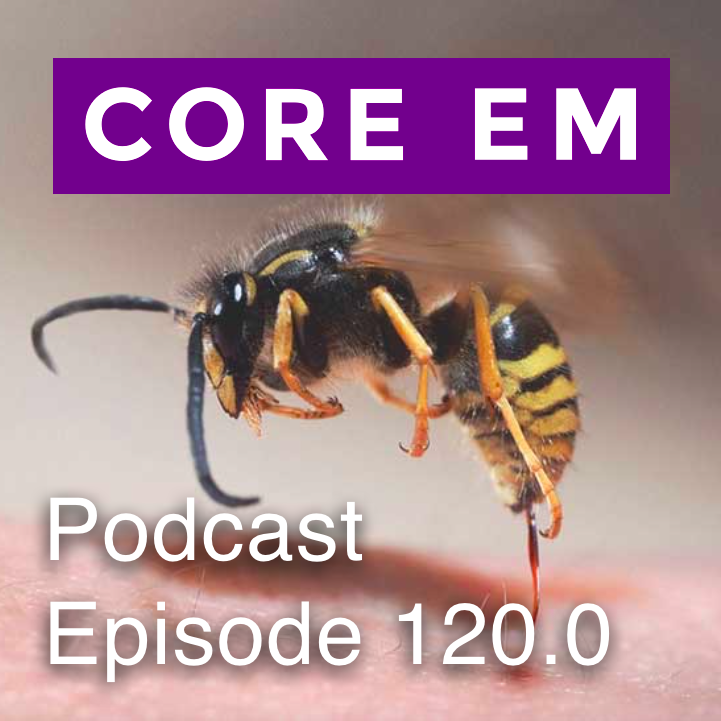 This week we discuss common bites, stings and envenomations. The most common bites and stings you will see are by bees and ants. These can present as a local reaction, toxic reaction, anaphylaxis or delayed reaction. For all of these, treat with local wound care and epinephrine for any systemic symptoms. The black widow spider is found all around the US and presents with either localized or generalized muscle cramping, localized sweating and potentially tachycardia and hypertension. Treatment is symptom management with analgesics and benzos. The bark scorpion usually presents with localized pain and swelling, but particularly in children, may present with a serious systemic presentation including jerking muscle movements, cranial nerve dysfunction, hypersalivation, ataxia and opsoclonus, which is the rapid, involuntary movement of the eyes in all directions. Treatment is supportive cares, but remember to call your poison center to ask about antivenin.